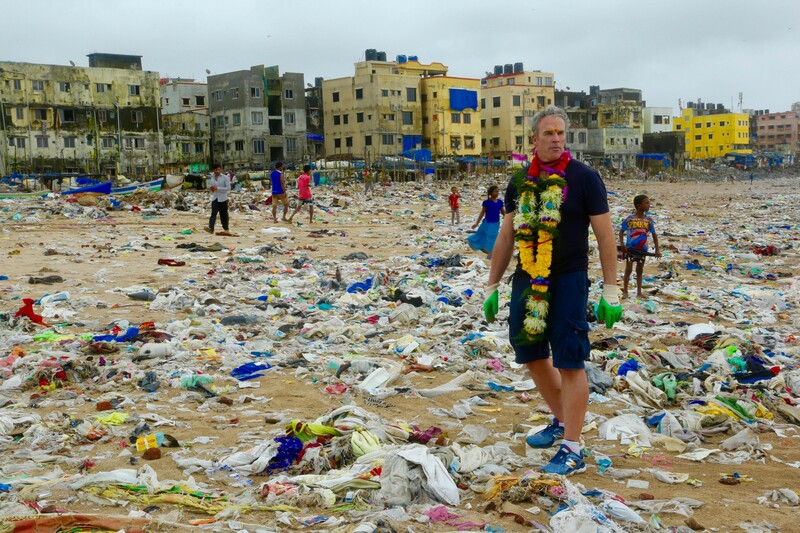 I stood in a sea of rubbish. All around me were waves of plastic packets, wrapped around bottles, wedged between milk and cement bags and discarded items of clothing. I bent down and saw the smaller details — countless cigarette butts and lighters and bottle tops, snakes of rope and straws. Much of it smeared with human faeces. I had to remind myself what it was — a beach — and that there was sand underneath this muck in which I stood, ankle deep and overwhelmed. It was one thing seeing a photograph from the comfort of home; it was another thing being on Mumbai’s Versova Beach and confronting the sheer volume of waste. Where to start? I hadn’t realised I’d spoken aloud, until Afroz answered my question. 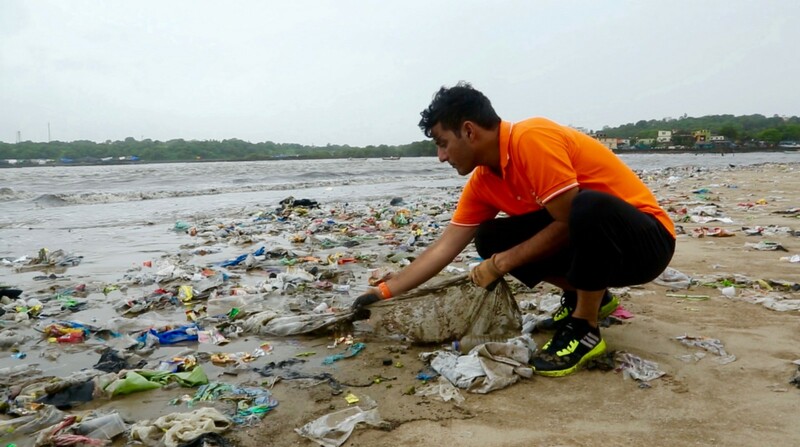 Afroz Shah is the 33-year-old lawyer and citizen founder of what has become, over the course of just 44 weeks, the biggest beach clean up in history. He invited me to Mumbai to join the 300 volunteers who put in 8 hours every weekend to tackle the trash on their beach. I’ve met some exceptional people in my line of work, but Afroz is truly extraordinary. I watched Afroz light up and inspire every single person he came across on that beach. People from all walks of life, young and old, Bollywood starlets and truck drivers, fishermen and high court lawyers, slum dwellers and film students, school children and teachers, and many, many mothers. Versova Beach is only two kilometres from Bollywood. Sloping down the hill between the film studios and the sea is the Koli fishing village. A small boy walked down from the slum to help. Someone handed him a pair of gloves. I looked at him, standing barefoot in the filth, pulling on his gloves, and I wondered, what will protect him next time he walks down here, in his bare feet? I picked up 673 broken shoes that morning, without taking more than ten steps. 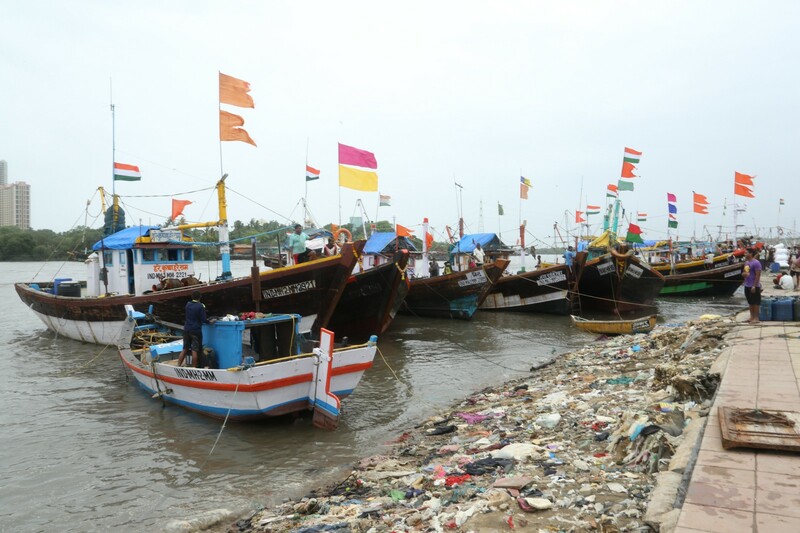 Some of Versova Beach’s rubbish washes down from nearby neighbourhoods; even more of it comes from storm water drains in the nearby Malad Creek. On the surface the creek still looks beautiful. But in the mangroves on its far shore, and amongst the fishing boats lying at the high-water mark — there are piles and piles of litter. I talked to two fishermen who have lived near the creek all their lives. As a young man, Pravin would swim across to the mangrove swamps, pick fruit and eat it sitting on the sand. He remembers it being the colour of gold. When Krishna started fishing 20 years ago, just an hour in that creek each day supported his family. Now he won’t let his children swim in that water. Each morning he takes his boat far out to sea; he’s lucky to return before dark with enough fish to sustain them. There are few fish left, but there is garbage. 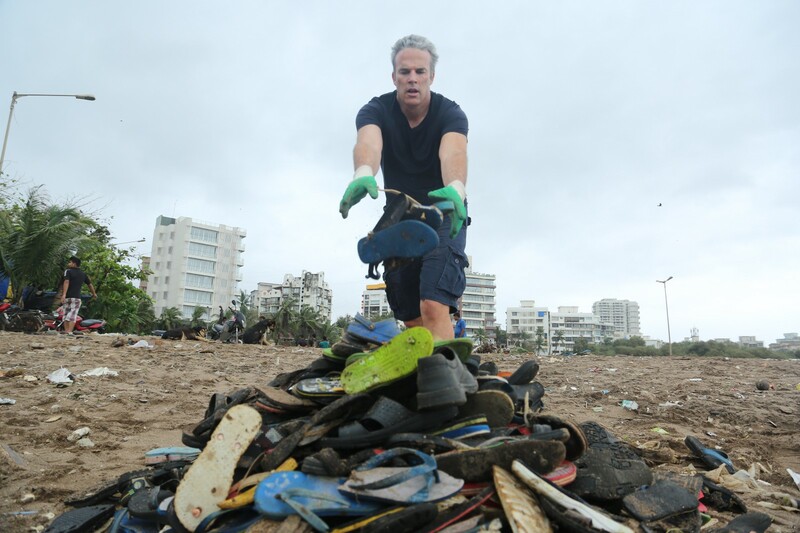 Nearly three million kilograms of it has been removed by the Versova Resident Volunteers so far. Every single bit of it picked up by someone like you or me. Just as every single piece of it was once discarded by one of us. It is only when we come face to face with the results of our actions that we begin to get to grips with their source. Very soon we must stop our rubbish from getting to the sea. But we have to start with what is at our feet. 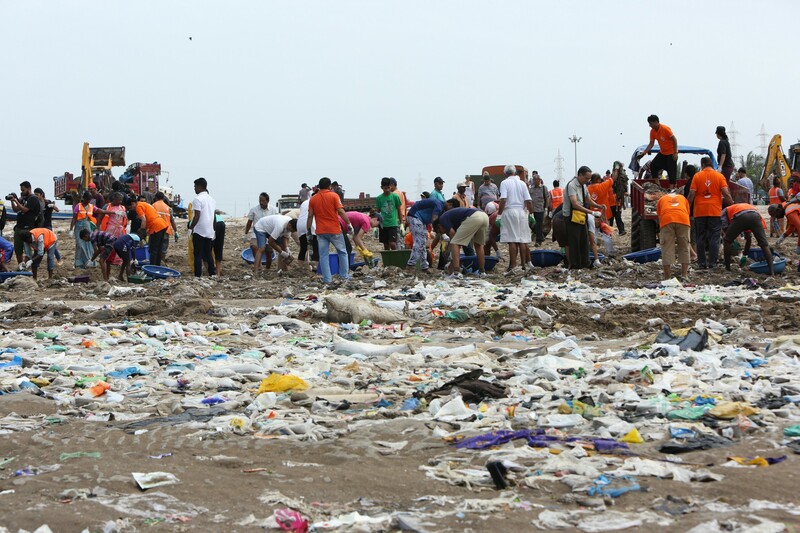 When the Versova Resident Volunteers have cleaned their beach, they plan to move to Mumbai’s 18 other beaches. I hope this will ignite similar movements across South and Southeast Asia. The impact of marine pollution is devastating. Not only is it destroying our environment and our natural resources, but according to the UN Environment Programme, it’s costing our world economy over $8 billion each year. 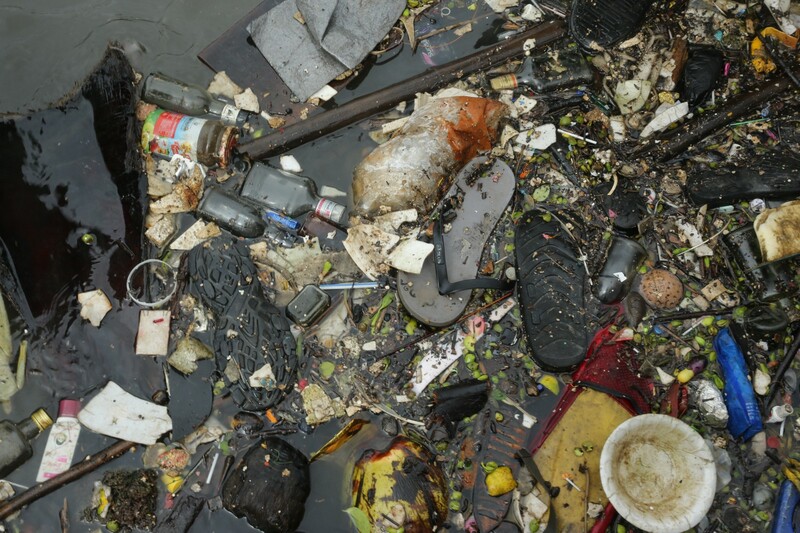 To stop this rubbish upstream where it starts, we need a tidal wave of action. We need the support of governments, businesses, schools and the media. We need countries like India, with the technology to put a satellite into orbit around Mars, and the world’s biggest film industry, to not only focus on the stars, but also on what lies at their feet. India has come to this point because of years of apathy, coupled with an economic boom and a worldwide explosion in single use plastic. India has a population of 1.3 billion. Each person will interact with dozens of pieces of plastic every day. If you take a problem like plastic pollution and multiply it by 1.3 billion it becomes impossible to tackle. But take that same problem and divide it among 1.3 billion willing people, and it becomes solvable. The people of Mumbai are starting where they stand. Their government must now lead, and set an example for the rest of the world. And if they do that, one day Afroz and his friends won’t walk down to the beach to pick up litter. They’ll go there to leave footprints in the golden sand. Lewis Pugh is an endurance swimmer and the UN Environment Patron of the Oceans. Views expressed on UN Environment’s Medium account are those of the author. Official Medium account of the United Nations Environment Programme.